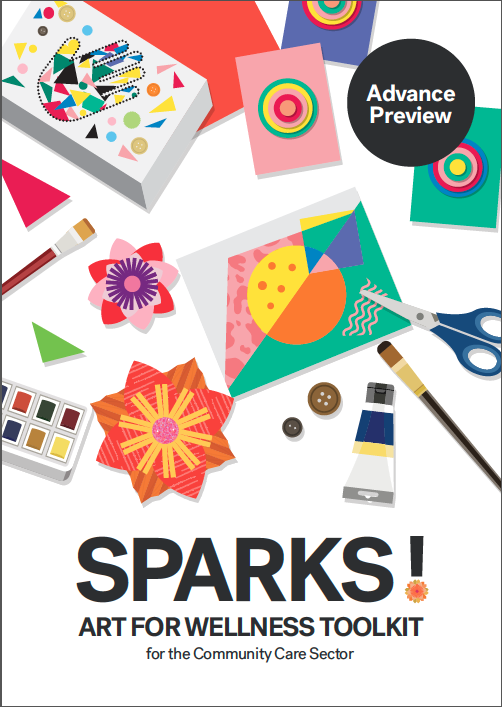 Sparks! Art Wellness Exhibition is the first of its kind that showcases the artworks created by residents from Nine Nursing homes in Singapore. The exhibition is an outcome of a pilot Artist-In-Residency (AIR) project jointly organised by the Agency for Integrated Care (AIC) and the National Arts Council (NAC) under the AIC Wellness Programme in collaboration with Assistant Professor Michael Tan, Nanyang Technological University’s School of Art, Design and Media. Over 3 months, 10 Visual Artists conducted weekly sessions at the various sites. The art projects include painting, sculpting, photography and digital media. The exhibition was opened by the President of The Republic of Singapore, Mdm. Halimah Yacob on 9th March 2018 at Raffles City Shopping Mall, Level 3 Atrium. It will stay open to the public until 18th March 2018. Video of The President co-creating art with Mr David Yew, a resident from All Saint’s Home. 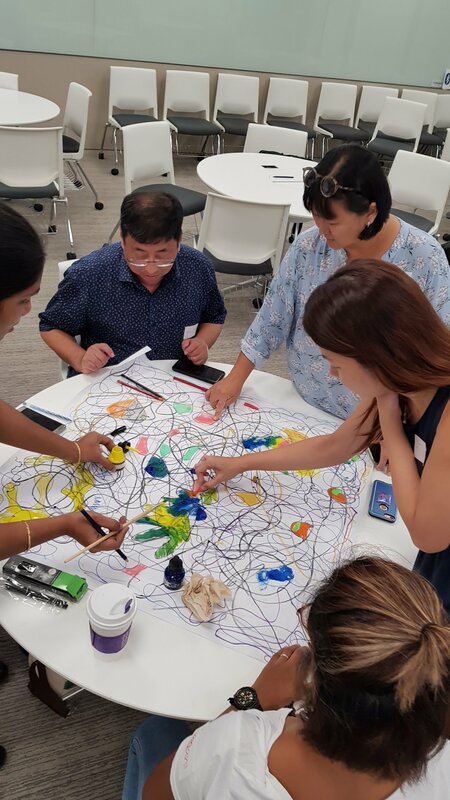 The arts residency pilot builds on existing AIC Wellness Programme visual arts activities, with the aim of taking the visual arts a step further in the Community Care sector. The arts residency is a joint initiative by AIC and NAC. As the overall project manager, AIC engaged the nursing homes and worked closely with healthcare staff, artists and the curator to implement the pilot. By involving practising artists, the pilot aims to introduce new, different and innovative creative ideas on using the arts to engage seniors in eldercare. The creativity of the artists also deepens the artmaking experience for the participants. For artists interested in working with the sector and seniors to develop their knowledge, the arts residency also serves as a learning platform. We hope this increases opportunities for the sector to engage experienced artists to work alongside them in the future. 100 nursing residents from 9 nursing homes working with 10 artists were part of this first-time arts residency pilot. This took place between October 2017 and January 2018. NAC played an important role in reaching out to the artists and lent their expertise in evaluating the artists’ proposals. Both agencies appointed Assistant Professor Michael Tan from Nanyang Technological University as the pilot’s curator to guide the residency process and artists. AIC is now evaluating the pilot’s outcomes. Should the findings be positive, AIC hope to continue to conduct more residency initiatives incorporating other forms of art. For this particular arts residency pilot, AIC and NAC will be collaborating with the curator to produce an activity toolkit which will feature selected activities that took place. With the toolkit, Community Care staff can replicate these activities for their clients. Previous postADM Arts and Health Troopers in the News!